Let’s take a look at the differences between IQ and emotional intelligence, and explore what can be gained from fostering emotional intelligence. Let’s take a look at the differences between IQ and emotional intelligence, and explore what can be gained from fostering emotional intelligence alongside the traditionally cultivated forms of cognitive intelligence. Emotional and cognitive intelligence are both necessary ingredients to living a wise life. 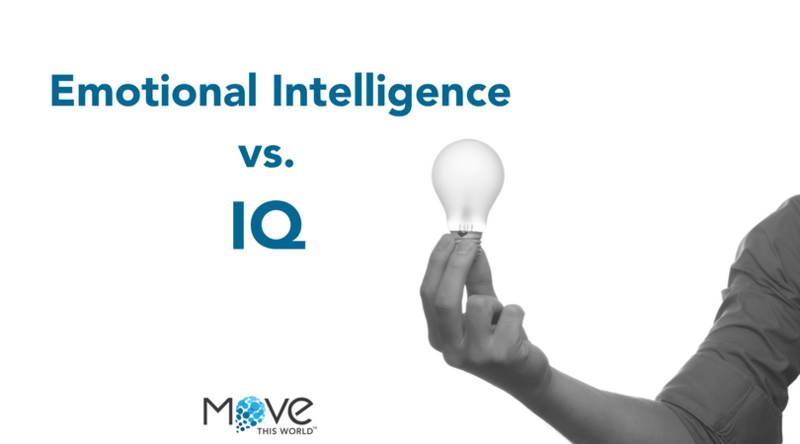 These two different forms of intelligence complement and support each other. Without emotional intelligence, cognitive intelligence becomes rigid, cold and lacks feeling. Without cognitive intelligence, emotional intelligence becomes undiscerning and lacks direction. You can think of these two types of intelligence like a ship, where emotional intelligence is the sail and cognitive intelligence is the wheel. Emotional intelligence provides the motivation for moving forward and cognitive intelligence keeps the ship on track. Both emotional intelligence and cognitive intelligence are necessary skills to have and ones that should be developed in our classrooms. Until recently we’ve put a strong emphasis on cognitive abilities but have not prioritized emotional intelligence, despite research showing that it is beneficial in a myriad of ways. If you’re interested in teaching emotional intelligence competencies in your classroom, Move This World can help.